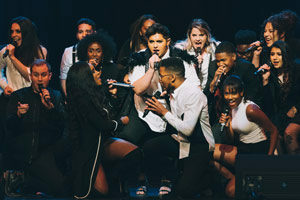 Applications for 2019 ICCA and ICHSA season are now open. The deadline to apply is October 15th every year. Click the application link below left to apply. UK applications are due by November 15th. Before selecting an application below, please be sure to review our competition application policies and our competition rules (for ICCA, ICHSA, and The Open), or our album application policies (for BOCA and BOHSA). Applications for The Open are due by May 1st, 2019 at 11:59 pm EST.